bothered to take it up a notch. Until now that is, with my three new skin saviours. are). 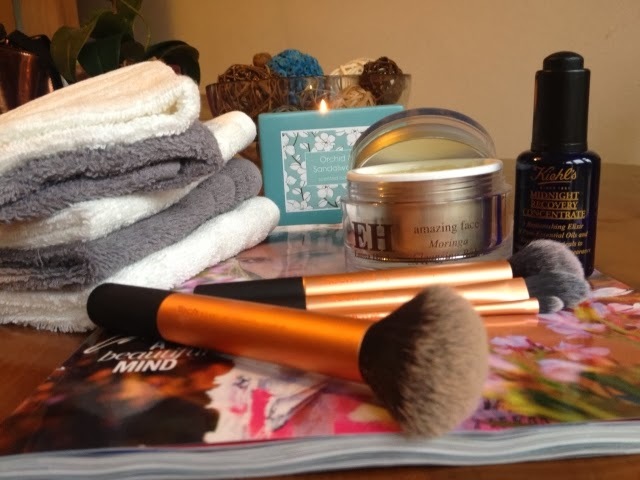 Not just any cleanser though, oh no, the one and only Emma Hardie Amazing Face Natural Lift and Sculpt Moringa Cleansing Balm, what a mouthful. What a magnificent cleanser. It has the appearance and texture of an oil but once you’ve added a couple of drops of water it becomes more milky. My skin just drinks this in. I’ve been using this morning and night for maybe 3 weeks now and already I’ve noticed a difference in my skin, it feels softer and has a nice natural glow to it. my skins radiance. I’ve found a definite new love for oils. My third and final new love comes in the form of the Real Techniques Core Collection Kit. I’m still in the market for a decent hydrating moisturiser and spot treatment so please holler with your suggestions.